Is there any truth in UK property predictions for 2017? Mortgage approvals are at an all time low, and the British property market has been hanging off the edge of the post-Brexit cliff throughout the second half of 2016 – apparently. …the underlying strength of the UK property market remains sound and highly profitable. After all, the average house price has more than trebled since 1995 – mainly driven by domestic demand. 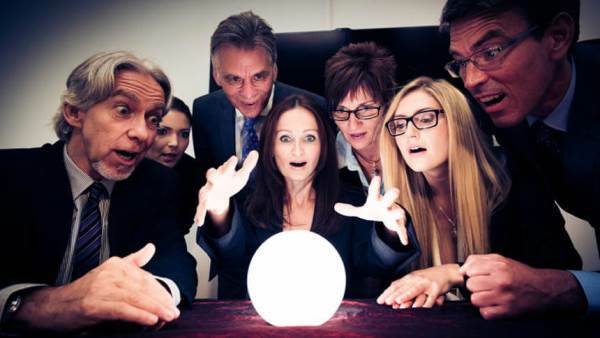 Where’s the truth in UK property predictions? Britain is obsessed with property, and that’s never going to end…making property a brilliant buy for 2017 and beyond. Unless the economy takes a turn for the worse, and then maybe prices will crash and interest rates will rise, repossessions will increase, and Britain’s love affair with property will end. 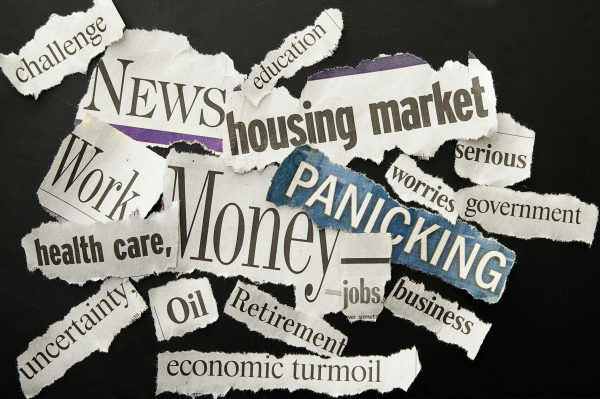 Read your newspaper of choice, listen to your preferred news channel or study the opinions of various market professionals and you won’t be able to avoid the fact that everyone has an opinion about what the UK housing market will do next. Some voices predict a drop in prices, others suggest stagnation, and the occasional few hold a positive view of the UK’s decision to leave the EU, and see a continued increase in demand and therefore prices for British property. If you’re confused by the conflicting opinions, allow me to pare back the fluffy hyperbole and determine whether there’s any truth in any of the UK property predictions for 2017, or whether you should stick to equities or even cash. As always, I’ll be looking for the evidence. I thought it might be useful to begin with a round up of who’s predicting what – but you can skip this entire section if you’ve had a surfeit of conflicting opinions, and head straight to the But what does it all mean? section below. These opinions are the latest available at the time of writing. “The decision by the UK public to leave the EU (‘Brexit’) has shaken the property market. We anticipate a marked slowdown as a result, with house price growth decelerating to 3% in 2016 and 1% in 2017 in our main scenario. But prices should still rise – we are not projecting a house price crash in our main scenario, although there are considerable uncertainties around any such projection and risks appear to be weighted to the downside at present. "The pick up in price growth is somewhat at odds with signs that housing market activity has slowed in recent months. New buyer enquiries have softened as a result of the introduction of additional stamp duty on second homes in April and the uncertainty surrounding the EU referendum. 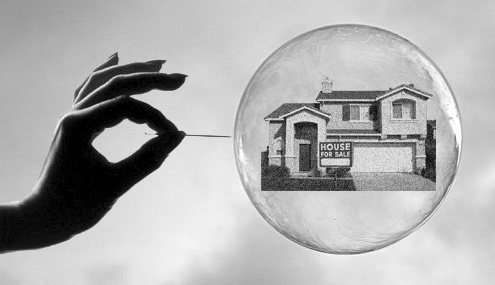 The number of mortgages approved for house purchase fell to an eighteen-month low in July." 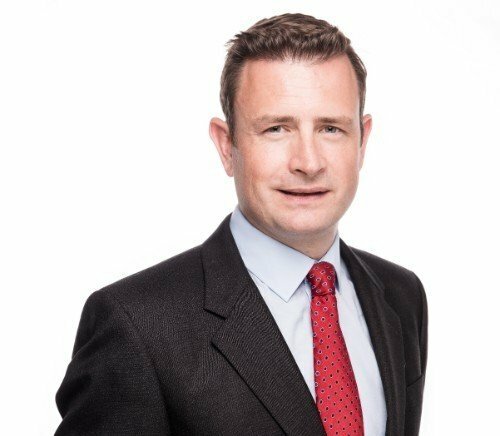 "The indication from the Nationwide data that house price growth strengthened after the Brexit vote — its index increased by 0.5% month-to-month in July and 0.6% in August, compared to average increases of 0.4% in the first six months of 2016 — is incongruous to all the other noises from the housing market. "For instance, the net balance of surveyors reporting to RICS’ Residential Market Survey that prices increased over the previous three months collapsed to +5 in July, from an average of +36 in the first half of 2016. In addition, yesterday’s mortgage approvals data showed that the average value of loans approved by all lenders for house purchases fell to £171K in July, from £177K in the first six months of 2016. The Nationwide measure is based only on the lender’s mortgage offers, so it susceptible to sampling issues." “The underlying strength of the UK property market is sound and highly profitable. The average house price has more than tripled since 1995, driven by domestic demand. Britain is obsessed by property, and people are more determined than ever to move on to and up the ladder. As many as 80 per cent of young renters want to buy a house and our data show last month there were still 10 buyers chasing every property on the UK market. The reality, of course, is that prices go up and down, and always have. “The referendum may have a short-term negative impact on house prices, but we are already nearing the limit and we will have to deal with the affordability problem sooner or later. 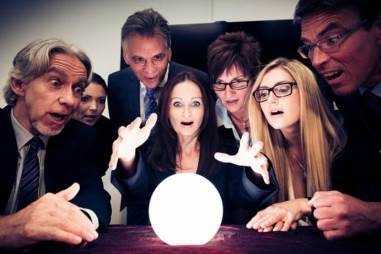 But is there any evidence behind these property predictions? And depending on the message someone is trying to impart, statistics and economic data can always be twisted to suit an argument. Therefore, if we want the best predictions perhaps we should consider those that simply combine analysis of past behaviour (old evidence) with the latest facts and figures from the market (new evidence). These can be found in Lancaster University’s UK Housing Observatory report, which is an on-going project developed by the university’s economics department to try and improve understanding of the UK national and regional house price dynamics. The university’s focus is largely on whether the UK market is in, approaching or recovering from an exuberant phase – i.e., in a bubble, about to crash or recouping. The data may be useful to those attempting to time entry or exit. According to the university, the last time that national property prices were in an exuberant phase was the second quarter of 2008, and the last time that the ratio of national house prices to real personal disposable income was identified to be in an exuberant phase was the fourth quarter of 2007. And we all know what happened then…a property crash. So let’s look at what they say about the national market now and for 2017, and whether there is exuberance in the Real House Price Index. The UK House Price Index is calculated by the Office of National Statistics and uses house sales data from the Land Registry, Registers of Scotland, and Land and Property Services Northern Ireland. The index applies a statistical method, (called a hedonic regression model, if you’re interested! ), to the various sources of data on property price, and produces estimates of the changes in house prices each month or quarter. In turn, Lancaster University’s UK Housing Observatory uses Backward Supremum Augmented Dickey Fuller statistics and critical values to spot exuberance – i.e., periods where the statistic is above the critical value. “UK property prices continue to grow, but at a lower rate than previous quarters, showing no sign of exuberance at the national level. “The recent slowdown in property price inflation in London and metropolitan areas affected the corresponding exuberance indicators that are now farther away from the explosive threshold. “This follows from the introduction of tax changes and incentives to buy-to-let properties earlier in the year, and the result of the EU referendum in the UK in June (Brexit). “House prices in all regions have increased since the previous release of the Observatory [2nd quarter 2016], however there is a considerable variation in the rates of property price inflation across regional markets. “The growth of London house prices has slowed down relative to the previous quarter, to around 1%. We note that property price inflation in regions contiguous to London (Outer Metropolitan and Outer South East) is also slowing down. In Outer Metropolitan, for instance, the rate of house price growth is less than 1%, whereas the value of the statistic in the second quarter of 2016 was around 2%. About the only conclusion that I can draw from combining the data, the analysis and the opinions is that the UK property market is highly unlikely to boom or go bust in 2017. 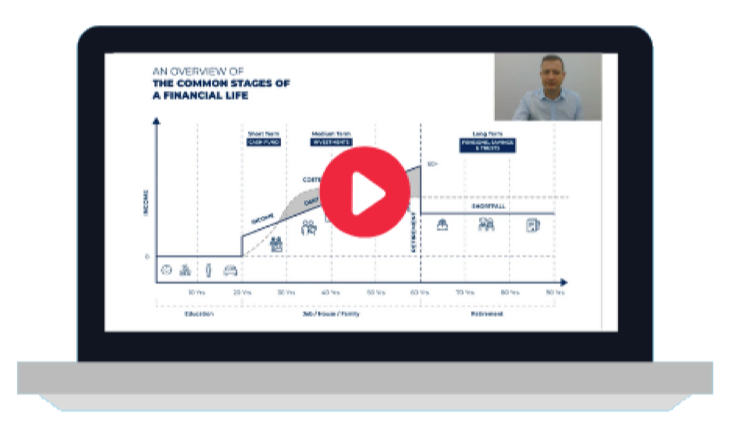 Because the truth is, when it comes to any investment – whether that’s in property, gold, oil, the S&P500, the FTSE100 or whatever – no one knows what will happen next year, or even next week for that matter. Investing is about taking risks, but it’s not about speculating - it’s not a gamble, it shouldn’t come down to timing, or emotions, or a crystal ball. If you want to know more about the evidence behind successful investment strategies, I thoroughly recommend our investment code slideshare. So, should you invest in property in 2017 or not? Let’s look at the evidence! 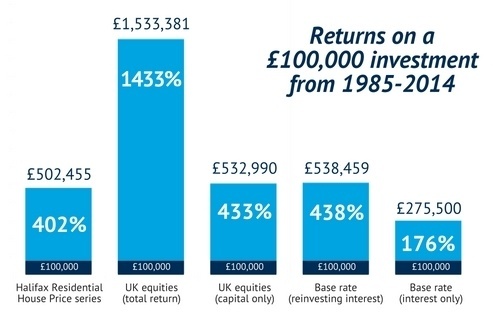 British investors in equities would have enjoyed the best returns over the last 30 years compared to those investing in only cash or property. But British property investors would have beaten their equity-only counterparts during the period of massive property price inflation after 2000. UK equities delivered 1,433% growth over the past three decades to 2015, or 9.9% a year - but only for those who committed to reinvesting their dividends. Those who instead lived off the returns would have made 433%. A return of 438% over the same period came from putting money in basic cash savings accounts and reinvesting the interest. Property only investors have seen a 402% ROI since 1985. These findings are from financial services and technology group True Potential. They show the importance of dividends to equity returns, and the value of reinvesting them, and the importance of taking a long-term view with any investment strategy. During periods of volatile or poor market performance, such as the years between 2000 and 2014, returns on equities were outstripped by what you could make from property during that time. And of course currently, cash investors are struggling to make anything. The conclusions from True Potential were that equities emerged triumphant over the whole 30-year period analysed for their study, but UK homeowners have enjoyed a huge surge in house prices since the 1990s. “UK equities produce a higher total return compared to cash and property. However, they do deliver a more variable outcome year on year. “Equity investors and cash hoarders face two different risks over the long term. Savers in cash must rely on getting an above inflation return and be prepared not to spend any interest but compound it to preserve wealth. Maintain a level of diversification and do not rely wholly or disproportionately on equities [or property, or cash] relative to your personal circumstances. Therefore, to answer the question posed – should you invest in in property in 2017 or not – if you’re looking to diversify your portfolio, you want to hold property for the long-term, you’re comfortable with the market price and any likely rental yields, buying a property in the UK in 2017 may make sense for you. But it’s a personal decision, and it has to be right for you. Considering all this, can we help you? If you’re wondering whether to buy a property, commit to a savings strategy or get started with investing, we can help you make the best decisions by developing your financial plan. If you have existing property holdings in the UK, we can ensure they are held tax efficiently. If you have a savings or investment portfolio, we can ensure you’re getting the best benchmarked returns at the lowest possible investment cost. Whatever your financial dilemma, we’re here to help. Alternatively, you may find information to inform and enable your own decision making in our Education Centre.